sportsmatrix » Replacing the Irreplaceable? One of the stories of the January transfer window was Dimitar Berbatov’s swapping Fulham’s fight for survival in the Premier League for Monaco’s challenge for glory in Ligue 1. The main reason for this transfer deadline day move was the season ending injury suffered by Monaco’s Columbian striker, Radamel Falcao. There is no doubt that Berbatov possesses immense skill and class but if you ask any of the Tottenham Hotspur, Manchester United or Fulham fans, they will tell you that his laid back style of play can be infuriating at times. This is a direct contrast with Falcao who is known to outrun his opponents on a regular basis. 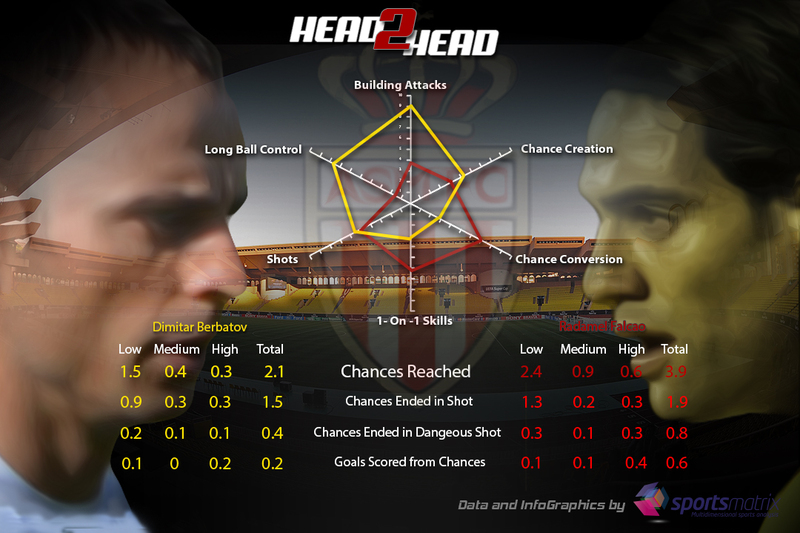 Knowing the reason why Monaco signed the Bulgarian striker, we prepared another special infographic detailing the differences between these two players. From the outset it was clear that, other than both being classified as strikers, they have played very different roles this season. One should also keep in mind what the impact on the effectiveness and quality of a striker’s play that the quality of the other players in the team has. 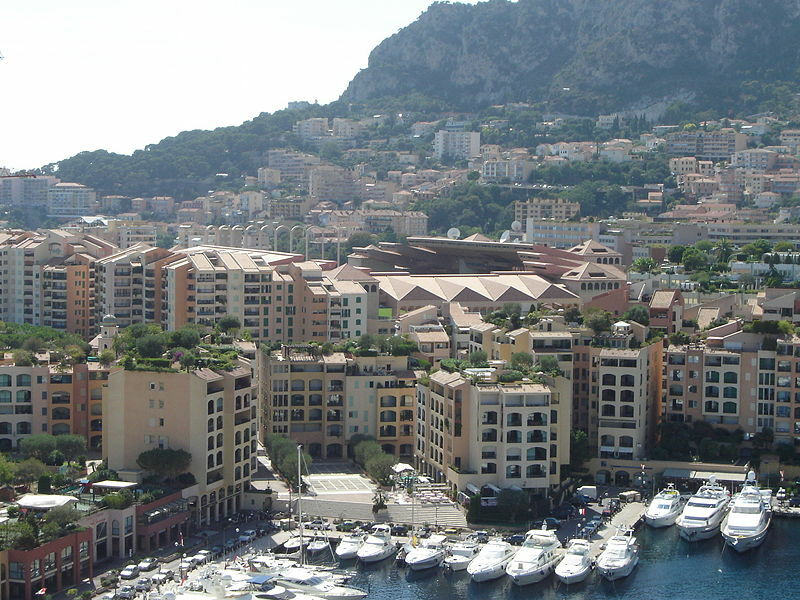 Monaco are one of the richest teams in the world with a plethora of talent whereas Fulham are struggling at the bottom of the Premier League. The gulf in quality between the two teams is vast. Moving onto the actual players themselves and as can be seen in the infographic below, Falcao is more of a dribbler and excels when it comes to 1 on 1 skills. He is also much more adept when it comes to converting chances into shots on goal or a goal itself. Berbatov, on the other hand, is much more proficient when it comes to building attacks as well as long ball control. As a result he is involved in more attacking actions per game, on average, than his Columbian counterpart and breaks the first and second line of defence more per game too. He also slightly shades Falcao when it comes to the actual creation of chances that may lead to shots on goal although Falcao finds himself with a chance more per game than Berbatov. Also, Falcao gets slightly more shots on goal from his chances than Berbatov does. He does have double the number of dangerous shots on goal than that of the Bulgarian. This, of course, impacts the number of goals scored from those chances and unsurprisingly, Falcao once again edges it. When it comes to the classifying of the chances, we split them into 3 levels – low, medium, high. The parameters that we used to determine under which classification a chance falls are things like the distance the player was from goal when the chance occurred, the difficulty of the angle, the placement of the goalkeeper and opposition defensive players. The fact that Berbatov was involved in chance creation could be due to the quality of the players around him and forced him to play more in the middle of the field. This is opposed to the style of Falcao who was able to move into advanced positions from where he would find himself with a chance, either by his own doing or thanks to his teammates. It will be interesting to see how Berbatov plays in a team where he does not need to be one of the main creative sparks and can leave a lot of the attacking actions to his teammates. By doing this, it will allow him to get into positions from where he can take shots on goal and ultimately score too which at the end of the day is the main role of a striker and the job he was signed to do. « Price Tag Power! Who is the Price Tag Prince?